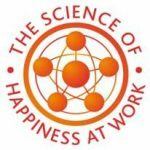 People And Productivity Workshop - Leveraging the Science of Happiness at Work. Our People and Productivity Workshop leverages the Science of Happiness at Work® profiling instrument. Happiness at work is strongly correlated with productivity, performance, better health, longevity in a job, increased energy, motivation, confidence and recognition – just to name a few. That’s why it matters not just for employees but for employers too. Want to improve productivity? – Want to keep the right staff longer? – Want to reduce staff sick leave? People Performance and Productivity, leveraging the Science of Happiness at Work, is an industry leading program designed by iOpener in the UK. Organizations are embracing the Science of Happiness at Work because it has such a dramatic effect on employees, leaders and overall business results. Encouraging individual ownership; driving bottom-up change to complement top-down change. Generating understanding for leaders of the common issues within their organization; leading to highly focused top-down change. Providing measurement of the impact of changes made through re-assessment at the end of the project; gives clear ROI. Offering an effective framework for individual and collective development; ensuring that the ever-changing work context is not detrimentally impacting performance.